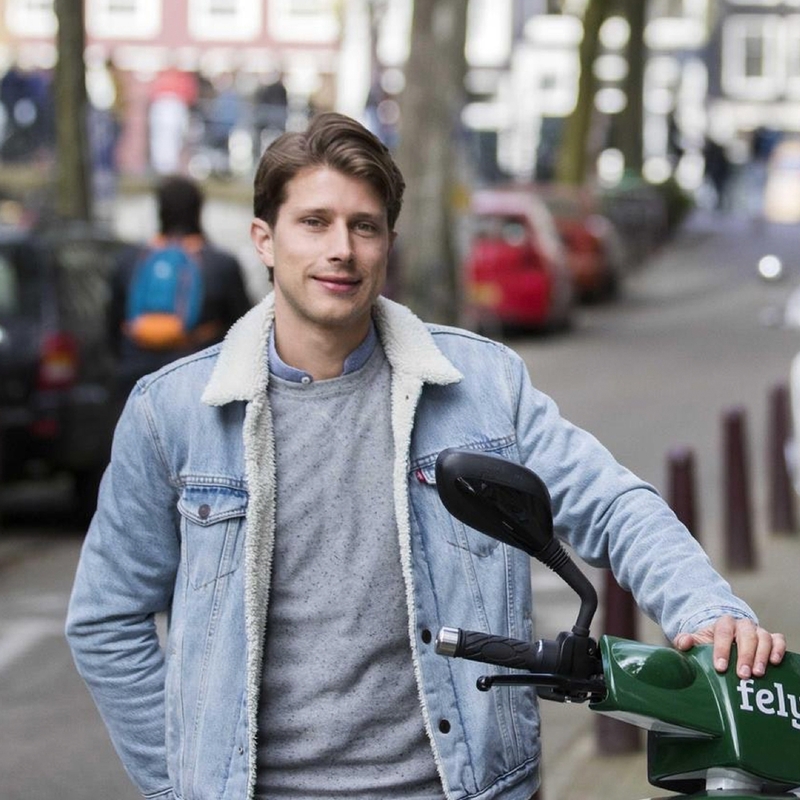 felyx is a successful scale-up, offering shared electric scooters as a new and disrupting urban mobility concept. 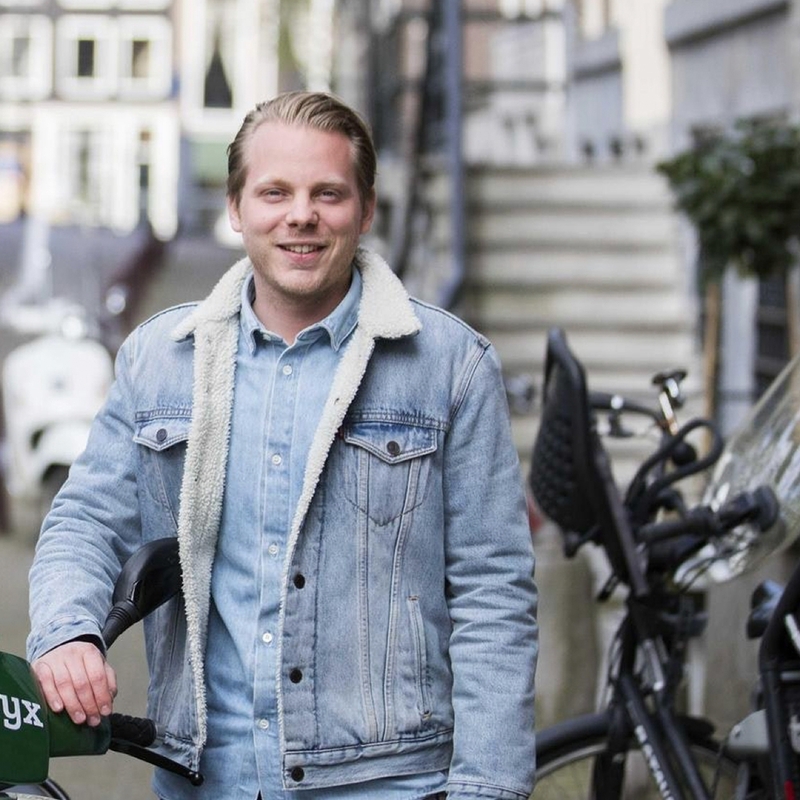 felyx is an innovative scale-up with ambitious plans for sustainable and shared urban transport. Urbanization is rising and air quality is deteriorating. Therefore, we need to shift to sustainable ways of shared and public mobility solutions. Pressure on public space also urges us to transition towards compact “light electric vehicles”, instead of personal and unused transportation (like gasoline cars and scooters). felyx’ concept and vision are fully in line with these global themes. Growing urbanization urges us to transport more people with less large, polluting, and private modes of transportation. Our mission is to offer a compact, shared, and sustainable mode of transportation to keep the city livable for everyone. felyx is a fast, convenient, and sustainable to move through the city. You’ll enjoy all the advantages of having your own electric scooter, but do not have the burden of actually owning one. Ride door-to-door, evade traffic jams, and park for free. Don’t worry about charging either, we’ll take care of that. Our felyx scooters are 100% electric and silent, so you won’t bother anyone, even not nature. All felyx riders contribute to a cleaner and silent city. Obviously, our serviceteam is driving an 100% electric van. You pay € 0,30 per minute for riding with felyx. Rides with felyx are priced similarly to public transport and are almost always cheaper than driving a car of taxi, because you can move faster in the city and you have no parking- and fuel costs. While traveling I first experienced the advantages of shared mobility concepts. Being flexible in your transportation options is really convenient. With felyx, I am proud to add an innovative and sustainable option to travel from A to B. When I take a boat ride through the canals, I can get on and off whenever I want, because I can just take the nearest felyx. That way I can easily get back home, or in no time to the place where I left my bike. With felyx we offer the ideal transportation method for the big city. For me it is important to get to my destination fast, sustainable, and affordable. Felyx makes this possible, and at the same time it is fun to drive a felyx. We make sure it is also as safe as possible, by maximizing the speedlimit, and by giving the e-scooters a bell and all weather tires. So for me, felyx offers the best of everything. As co-founder of felyx I have a lot of meetings at different locations. Therefore felyx is also a personal solution, because I know I have the fastest means through city traffic. During the weekend I use felyx a lot when I’m driving around with my girlfriend. We are looking for passionate people to join our team, ready to bring the transportation revolution to the world. Exciting times, with exciting challenges.